The Master Lock No. 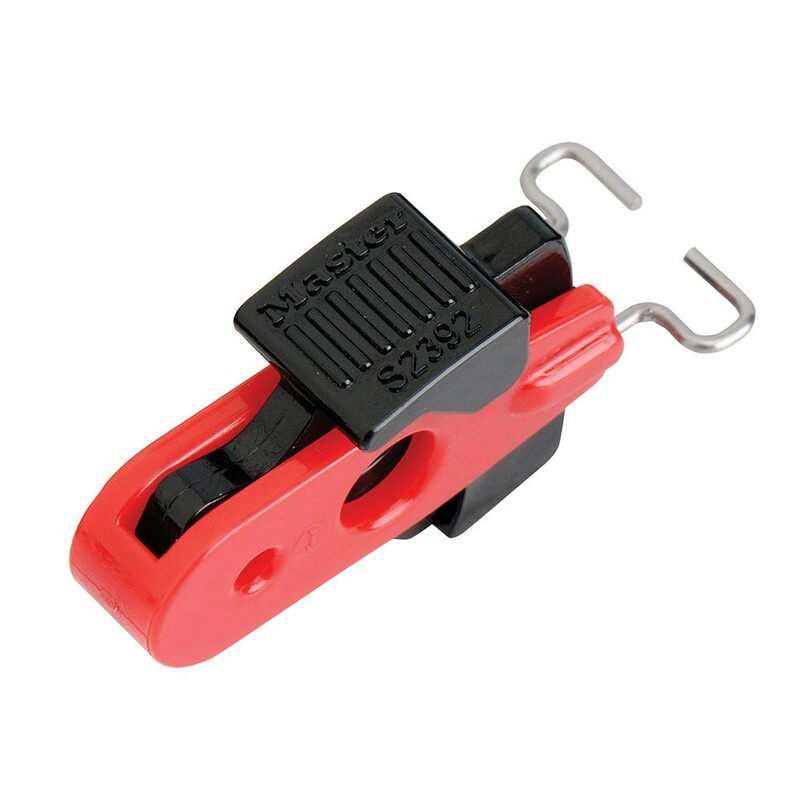 S2392 Miniature Circuit Breaker Lockout Device locks out most miniature ISO/DIN pin-out circuit breakers throughout the world. The patented device fits breakers with lockout holes on the outside of the switch and openings up to 13mm between lockout holes. Device works with all Master Lock safety padlocks and most hasps.